The Primera RX900 is the world's first on-demand color RFID label printer. Utilizing the latest in high-resolution color inkjet technology, the RX900 prints labels and tags at speeds of up to 4.5" (114 mm) per second. The RX900 is a true "on demand" printer, which means that it prints, encodes, verifies and dispenses labels one at a time. You can make exactly the number of full-color labels you need when and where you need them. The built-in UHF reader/encoder module supports ISO 18000-6B, ISO 18000-6C and EPC Global Class 1 Gen 2. The printer is ideal for producing full-color, RFID-enabled labels and tags for file folders, asset tracking, garment tags, shipping labels and much more. 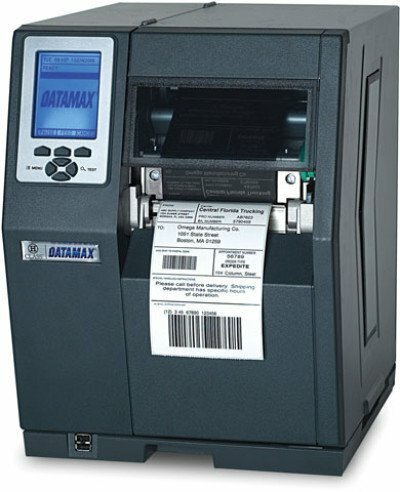 The Datamax-O-Neil H-4212X RFID takes printing into the next era of comprehensive thermal and RFID label printing. The new Datamax-O-Neil H-4212X RFID heavy-duty printer provides a state of the art modular design offering the most flexible and accurate print quality in the industry today. The H-4212X RFID makes available the most advanced diagnostics using a sophisticated approach in maximizing the life of the printhead while clearly reducing total cost of ownership. In keeping with Datamax-O-Neil high standards, the new H-4212X RFID incorporates a patented precision crafted design that is unmatched. This heavy-duty die cast aluminum frame assures reliable performance with high quality results. The H-4212X RFID printers are designed for the most rugged environments supporting applications in such places as manufacturing, shipping and warehousing, but sophisticated enough to support high-resolution graphics and text on small labels. The Datamax-O-Neil H-4310 RFID is the most advanced and feature-rich printer solution designed for today's dynamic enterprise applications. The H-4310 RFID provides throughput that is up to twice as fast as other printers in its class, and its gear-driven design provides rugged and reliable performance for 24x7 mission-critical service. Modular construction increases up-time for the highest levels of user productivity, and helps provide the lowest cost of ownership. The H-4310 RFID offers the industry's largest graphical display that provides an easy-to-read view for quick navigation and printer notifications. In addition, the H-4310 RFID is designed with options to address evolving RFID applications. 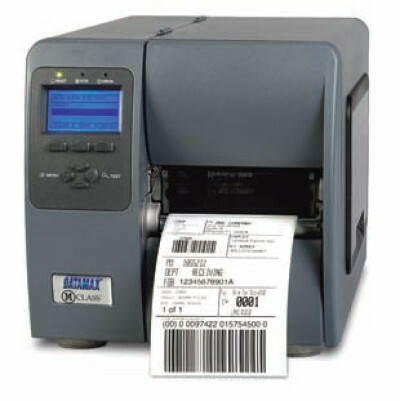 The Datamax-O-Neil H-4606X RFID thermal barcode printer family is the most advanced and feature-rich printer solution designed for today's dynamic enterprise applications. Datamax-O-Neil H-4606X RFID printers provide throughput that is up to twice as fast as other printers in its class, and its gear-driven design provides rugged and reliable performance for 24x7 mission-critical service. Modular construction increases up-time for the highest levels of user productivity, and helps provide the lowest cost of ownership. Datamax-O-Neil H-4606X RFID printers offer the industry's largest graphical display that provides an easy-to-read view for quick navigation and printer notifications. In addition, Datamax-O-Neil H-4606X RFID printers are designed with options to address evolving RFID applications. 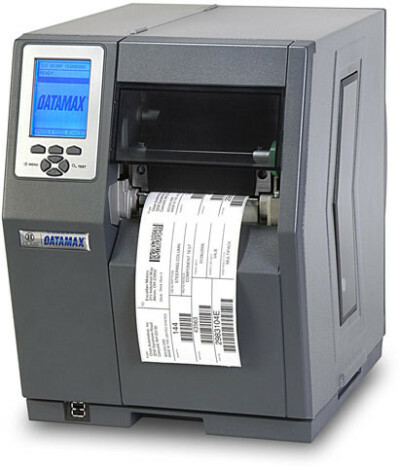 The Datamax-O-Neil H-6212X RFID thermal barcode printer family is the most advanced and feature-rich printer solution designed for today's dynamic enterprise applications. Datamax-O-Neil H-6212X RFID printers provide throughput that is up to twice as fast as other printers in its class, and its gear-driven design provides rugged and reliable performance for 24x7 mission-critical service. Modular construction increases up-time for the highest levels of user productivity, and helps provide the lowest cost of ownership. Datamax-O-Neil H-6212X RFID printers offer the industry's largest graphical display that provides an easy-to-read view for quick navigation and printer notifications. In addition, Datamax-O-Neil H-6212X RFID printers are designed with options to address evolving RFID applications. The M-4210 RFID is a compact industrial strength printer series that offers the power and performance required in industrial environments, the reliability demanded in commercial applications and a small footprint when space is a consideration. It combines powerful standard features with a variety of flexible options to meet the broadest possible range of applications.